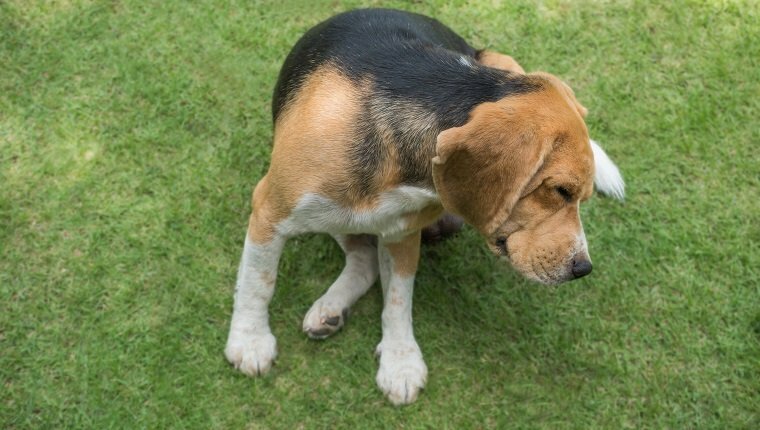 Atopic dermatitis in dogs is an inflammatory condition where a dog’s skin shows symptoms of an allergic reaction after the dog has ingested or inhaled a substance they are sensitive to. It is sometimes called “atopy.” Allergens can be almost any substance, but some common ones are pollen, dander, plants, or insects. 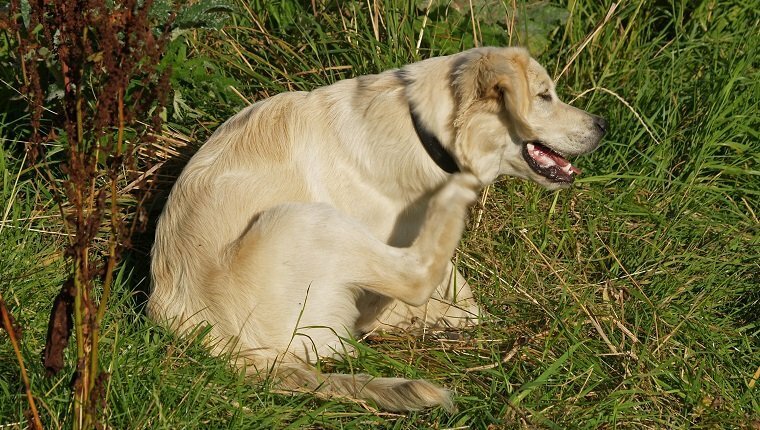 Symptoms of atopic dermatitis in dogs often include itchiness and inflammation of the skin, which can lead to scratching, chewing, and licking. 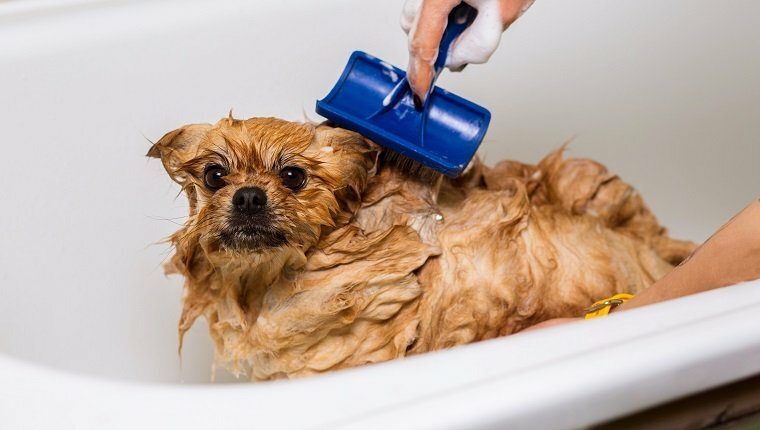 Dogs who suffer from atopic dermatitis may cause injury to themselves when trying to relieve itchiness and open themselves up to infection, alopecia, and other symptoms. If your dog suffers from atopic dermatitis, you should reduce their exposure to allergens and consult your veterinarian so they can help form a treatment plan. Here is what you should know about the symptoms, causes, and treatments for atopic dermatitis in dogs. Dogs normally show signs of atopic dermatitis between 3 months and 6 years of age. Symptoms can be mild at first, but they generally worsen over time as the skin becomes more sensitive. These symptoms may be generalized and happen all over the body, or they may be localized and commonly appear on the ears, face, feet, armpits, and legs. Here are a few signs of atopic dermatitis in dogs that you should look out for. Although any breed of dog can develop atopic dermatitis, the main understood cause of the condition is genetics, and several breeds are predisposed. These breeds include Beagles, Boxers, Bulldogs, Cairn Terriers, Dalmatians, English Setters, Golden Retrievers, Irish Setters, Labrador Retrievers, Lhasa Apsos, Miniature Poodles, Miniature Schnauzers, Pugs, Scottish Terriers, Shar-Peis, West Highland White Terriers, and Wire-Haired Fox Terriers. As for what causes an actual allergic reaction associated with atopic dermatitis, almost any substance can be an allergen. Common allergens include dander, pollen, mold, dust mites, foods, and medications. 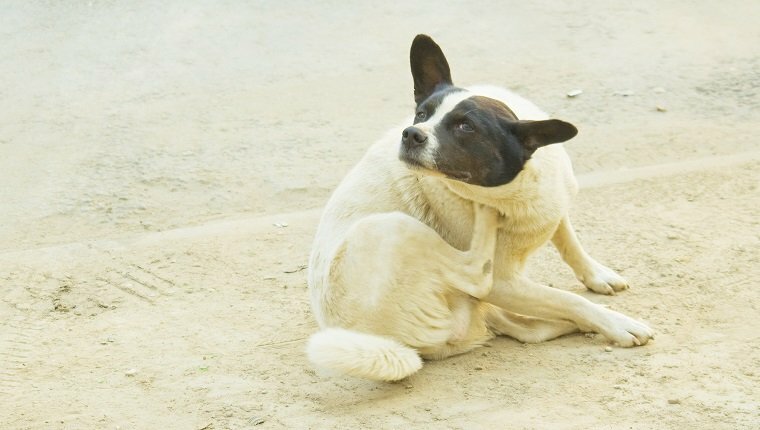 Fleas can also cause a flare-up, especially as skin becomes more sensitive. Treatments for atopic dermatitis in dogs can vary based on what causes their reactions. For some, hyposensitivity therapy may be an option. This involves injecting small amounts of the allergen into a dog’s body over time, which builds immunity to the allergen. This can reduce a dog’s itchiness by 60 to 80 percent, though it can take six months to a year to see results. Antihistamines and corticosteroids can also be effective in reducing allergy symptoms. Fatty acid supplements and medicated shampoos can be prescribed to provide additional relief to the skin. Other drugs like cyclosporine can be prescribed if other treatments fail or are not an option. There are other ways to treat allergies without resorting to medication, though you should consult your veterinarian to see if these are appropriate for your dog. Keeping the home clean and using air filters can help reduce your dog’s symptoms while indoors, and if you know the source of your dog’s allergic reaction, you should do your best to remove the allergen from your dog’s environment. You may also find homemade allergy treatments effective without as many harsh side effects as certain medications. Always ask your vet before trying these. Does your dog suffer from atopic dermatitis? How do you treat it? Let us know in the comments below!